Project City Water Environment Improvement - Tau Hu canal basin - Ben Nghe and channel Doi - Te canal phase 1 against flooding for area districts 1, 3, 5, 10 and 11. In particular, solve the frequent flooding low-lying areas during high tide as terminals Me Coc (District 8), Thanh Da (Binh Thanh District). At the same time, the project to dredge the channel and channel embankment Tau Hu, Ben Nghe, creating a good view both sides of the channel. 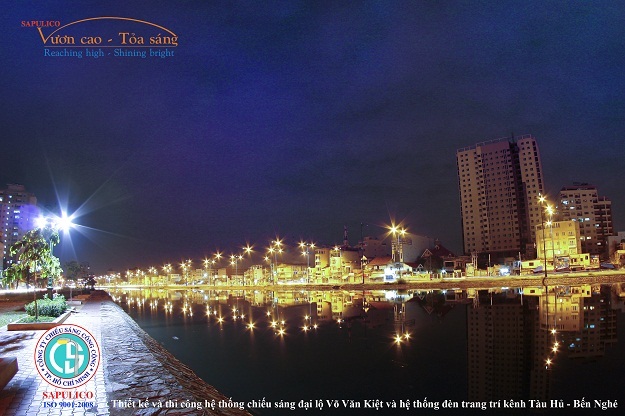 Buildings solve environmental pollution for Tau Hu canal, Ben Nghe canal and canal Te Sometimes in districts 1, 3, 4, 5, 6, 8, 10, 11, Tan Binh, Binh Thanh and Binh Lemon. The project has a total investment of USD 270.3 million (equivalent to 4163 billion). Under the original plan, the project will be implemented during 2004-2010. 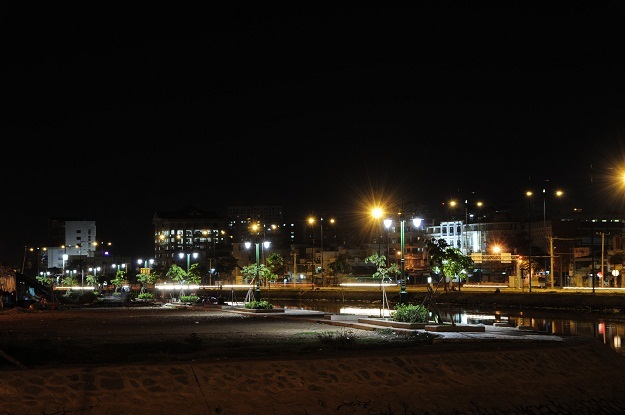 Company Limited City Public Lighting shall implement the system lights Decorations for this project. 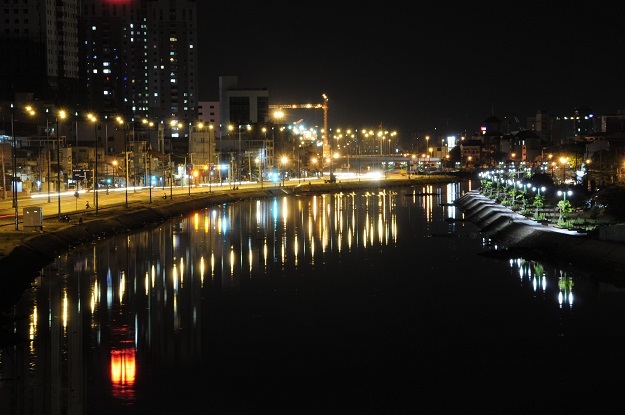 Environmental Improvement Project include City water system 4m wide sidewalks, pavement arranged islets parks and greenery planting flowers along Tau Hu-Ben Nghe canal, creating landscapes along the canal clean. Along the canal there are decorative lighting system was designed and constructed by the Company Limited City Public Lighting. Head lamps are used as decoration 5m painted green like the trees blend harmoniously into the green of the grass and trees. My office was given arms and light seems very quaint full of plush material is patterned and etched iron cylindrical shaped spear tip carving intricate patterns provide robustness for each lampstand. Decorative Lighting Poles just beautifies the landscape, just bring light to create conditions of security for the people walking on the park with soothing white light. Each head lamps Metal Halide lamp fitting 2 sets of power 70W, 4200K white light is arranged on the islets of greenery planting flowers and with an average distance of 40 meters, is controlled by 7 control panel modern lighting. At each office and control cabinets are piling earthing protection, combined with anti-leakage devices in cabinets RCCB and RCBO in each office to ensure electrical safety system. The entire system is underground cabling helps retain the beauty of urban. And over 6,500 meters of cable types. 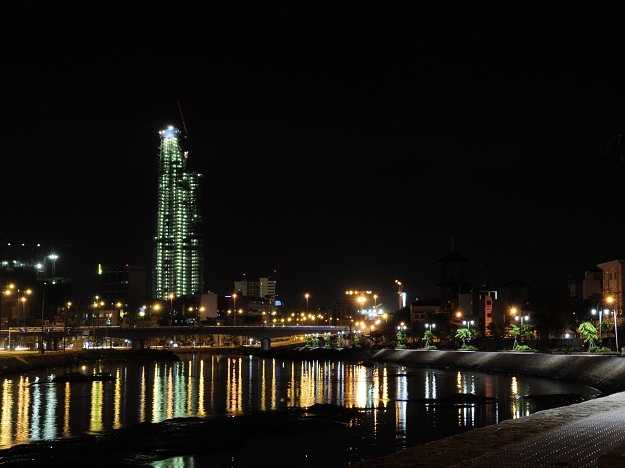 Systems decorative lighting is magnificent, magnificent at night with the lights and public lighting of East-West Highway Project - Road along the canal (Vo Van Kiet Boulevard) across the canal took route this new life bursts, making Ho Chi Minh city of us can soar and shine with the nations of the world in the process of integration and development.